This blog post was first posted on the Duck of Minerva. After nearly fifteen years of study, what do we know about the relationship between climate change and security? I recently attended a Woodrow Wilson Center event organized by the Peace Research Institute Oslo (PRIO) on the state of the field. Along with Geoff Dabelko, Halvard Buhaug, and Sherri Goodman, I offered my take on the field. In this blog post, I wanted to focus on five different causal pathways that I think represent the frontier of research on the study of climate and conflict, which include agricultural production and food prices, economic growth, migration, disasters, and international and domestic institutions. Whether climate changes and variability contribute to the increased likelihood of conflict has been the dominant focus of this literature, though I myself have a broader view of what constitutes security. The evidence on the effect of climate change and variability on violence is contested. Although there is little agreement about direct causality, low per capita incomes, economic contraction, and inconsistent state institutions are associated with the incidence of violence. This was a careful and nuanced statement, behind which captures several subtleties. First, when they say “violence,” they are signaling an evolution in the field, which started out largely studying the connections between climate and armed conflict, namely civil wars between states and rebel groups but has become broader to focus on communal conflict between social groups to other forms of social contestation such as strikes and riots that can escalate into violence. Second, the IPCC conclusion that the findings “are contested” reflects some sharp methodological debates between competing camps of scholars. Early findings were inconsistent raising questions about whether scarcity or abundance was a driver of violence. As many are aware, there was a vigorous debate between what I call the Berkeley economists and the PRIO group about the main findings in the field, which largely turned on methodological and modeling assumptions. The Berkeley folks were of the view that you should used fixed effects models and few covariates to ensure that the effects of climate factors are not biased down by the inclusion of variables that themselves are likely affected by climate factors. The PRIO crew by contrast argued for the inclusion of political and social factors as their exclusion likely biases models away from the political factors that our discipline thinks are hugely important. I think we’re finally on the other side of this dispute. Third, the IPPC statement also signals the recognition that it is important to study the indirect pathways between climate change and violence such as economic contraction and the mediating role played by domestic political institutions. For me, this is the most important turn in the academic discussion because it signals a return to an interest in causal mechanisms and pathways between environmental change and security outcomes, which in my view includes but is not limited to violence. 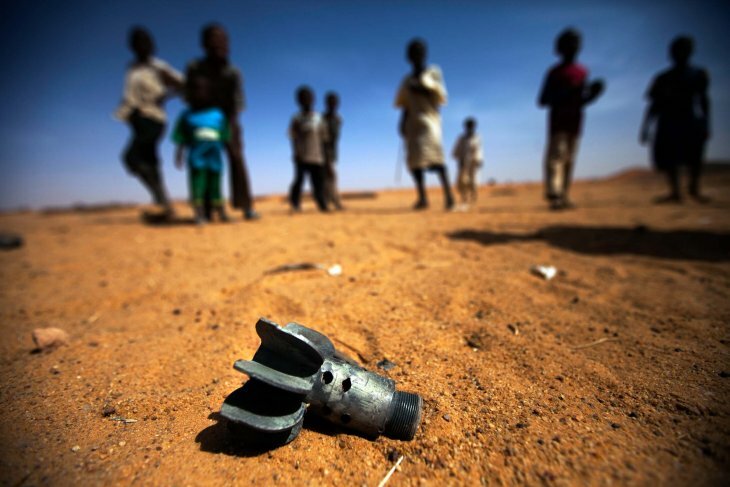 The direct effects between climate and conflict are ambiguous. The study of the indirect and conditional pathways is still nascent. Emily Meierding several years ago urged scholars to study the indirect pathways, focusing in particular on the effects on the agricultural sector. As she suggested, the most important pathways include the effects on agriculture and food prices, which would include work by Halvard Buhaug as well as scholarship by Todd Smith on food price shocks, Cullen Hendrix and Stephan Haggard on economies highly dependent on agriculture, and Nina von Uexkull et. al’s article on growing season rainfall shocks and political exclusion. Here, depressed agricultural production can lower the opportunity costs of rebellion, and higher food prices might serve as a source of grievance for consumers. A second related and understudied pathway is through the effects of climate on conflict through economic growth. Koubi et. al’s 2012 paper and her recent article are exceptions. There is also a vigorous empirical debate in economics on the effects of natural disasters on long-run economic growth (with work by Shabnam and Cavallo some examples). That work hasn’t really been connected to the conflict piece as far as I know. Here, climate changes and variability would depress economic growth (perhaps through the effects on agriculture or as a result of disasters), either lowering the opportunity costs of rebellion and/or underming state capacity to suppress violence and provide services. Early work in this space was inconclusive, but I don’t think it was the last word. A third underexplored pathway is migration with early empirical work in this space by Koubi et. al and John O’Loughlin. Most of this work is inconclusive. We have good studies by Salehyan/Gleditisch that suggest that migration can bring newcomers into conflict with long-time residents over limited resources and government programs, potentially leading to conflict as conflicts spillover to neighboring polities. Early theorizing by Clionadh Raleigh et al. suggested environmental migrants, to the extent this is an identifiable category, might be different from refugees. They argued that many environmental migrants’ movements are likely to be temporary; moreover, their departures might be seen as forced by acts of nature, making them more sympathetic to receiving locations. Moreover, environmental migrants might be so vulnerable that they are less likely to engage in violence. When we think about specific cases, migration was certainly touted as a driver of conflict in the Syria civil war, though I would argue that this still hasn’t been nailed down. Did the migrants engage in conflict? Did conflict start in response to scarcity pressures made worse by migrants? This is an area that is really hard to study, but we have to be careful about casually connecting migration to conflict. A fourth channel is the effects of climate disasters on security, with work by Slettebak, Nel and Righarts, Brancati, Bergholt and Lujala. Disasters may lead to conflict through the effects on economic growth or potentially where failed disaster response leads to grievances by affected populations. The findings here are ambiguous, partially a function of whether we distinguish between hazards (as physical phenomena) and disasters (as social outcomes that represent failures of preparation and response). We may also have to distinguish between swift onset hazards such as cyclones and storms from slow onset ones such as drought. Some work suggests that disasters may precipitate peace rather than conflict, where groups rally around the common challenge of survival, where rebel movements have been too weakened by the disaster to continue the fight, or where the disaster makes a conflict ripe for resolution with targeted and well-distributed aid flows (Kelman, Enia, Egorova and Hendrix). There is also good related work by Quiroz Flores and Smith on disasters and leader survival, whether failed responses to disasters lead to leadership challenges in certain regimes. Even if we find the disaster-conflict link to be elusive, the human costs on populations and the diversion of military capacity for response together are security threats in their own right. A fifth area which speaks to the conditional effects of climate change is the role played by domestic and international institutions on conflict. In terms of domestic institutions, Salehyan and Hendrix’s work splits samples by regime type and/or Polity score. For their part, von Uexkull et. al among others focus on the role played by exclusive political institutions. In the international transboundary waters space, the role played by institutions has loomed large in work by De Stefano et. al and Tir and Stinnett Both find that river basin institutions diminish the risks of conflict by allocating water, planning for shocks, and facilitating dispute resolution. I see institutions and the supportive role played by interventions, both local and international, as being key intervening factors that may diminish or exacerbate the likelihood of conflict, depending on how their administered. Institutions affect the distribution of services, the capacity of response, and whether disputes escalate. Nearly all of this work has been related to the connections between water and water-related extremes and conflict. I have seen less good scholarship that seeks to get at the causal mechanisms between the correlation between temperature increases and conflict. Some have posited psychological mechanisms, but I’m not persuaded we have advanced very far on moving beyond some correlational evidence linking temperature increases to conflict. Moreover, most of the debate thus far has focused on conflict onset and whether climate factors make conflict more likely. I think much productive work should focus on how climate effects the dynamics of conflict, moving beyond the obvious effects of recurrent seasonal changes in rainfall and temperature on fighting cycles. Here, I think we can start to think about whether conflicts are prolonged or shortened under certain kinds of climate change. As methods and data get better, I see efforts to be more precise, to focus on changes in growing season rainfall in particular places and on particular subgroups as von Euxkull and collaborators have done in their recent work. “The more logical research strategy under the circumstances would be to compare societies facing similar environmental problems but exhibiting different levels of violent conflict. That would permit some precision in identifying the conditions under which environmental degradation generates violent conflict and when it does not…”(Levy, 1995, p. 57). Since much of the quantitative literature has focused on direct correlations between climate and conflict with only flitting attempts to specify causal mechanisms, I think we could profit from some focused comparison cases where people seek to match countries or localities on some criteria of physical exposure but different security outcomes.That’s the project I have going on at the moment, which I hope offers a contribution on causal pathways and conditional effects between climate and security outcomes. I say security outcomes because I think much more needs to be done to understand the connections between when climate factors will lead to humanitarian emergencies, whether or not they escalate to conflict. Since those events often require diversion of military assets, domestic and foreign, for relief and response operations, I think those events are the most likely and persistent security threats practitioners have to prepare for. Preparing for those, depending on how it’s done, could also make conflicts less likely in the event of exposure.